Posted July 26th, 2018 by Kirti & filed under AdWords Experiments, AdWords Tips. AdWords Experiments is a resourceful feature with which advertisers can A/B test their campaign settings without actually modifying it. It is most useful in campaigns that have been running for a while and to which making changes is a big decision to make. 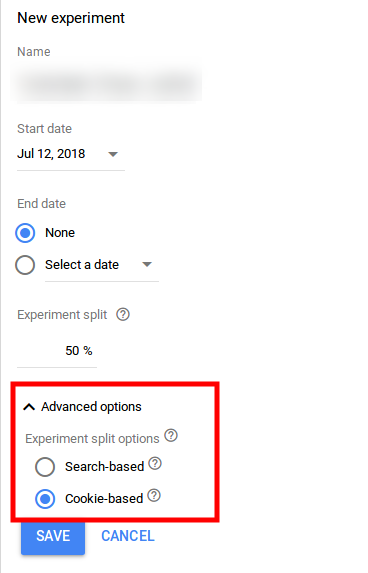 The new AdWords UI offers an additional option while creating an experiment, which was previously not available. While creating an Experiment for your search campaign you can specify if you wish to count the users or the searches. Search based – With this option (available as default option previously), every time a search happens, users get to either see advertiser’s original campaign or the experiment randomly. Here there is a likelihood of the same user seeing both versions of your campaign. As clear, the aim of this experiment split option is to count the searches. Cookie based – With this option (made available in the new AdWords UI), users are assigned to a bucket and get to either see the experiment or the original campaign regardless of how many times they conduct a search. The aim of this experiment split option is to count the users. If you want to track the performance of your AdWords Experiments, here is a nifty script that does so by giving advertisers a report that puts cumulative experiment stats together and shows how the experiment is performing when compared with the original campaign. 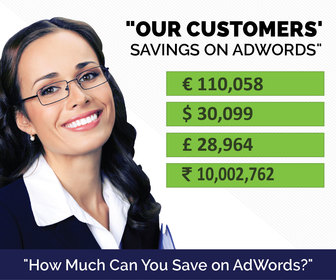 If you are looking for more, here are some other AdWords scripts published by Karooya.